Branson bed and breakfast travel guide for romantic, historic and adventure b&b's. 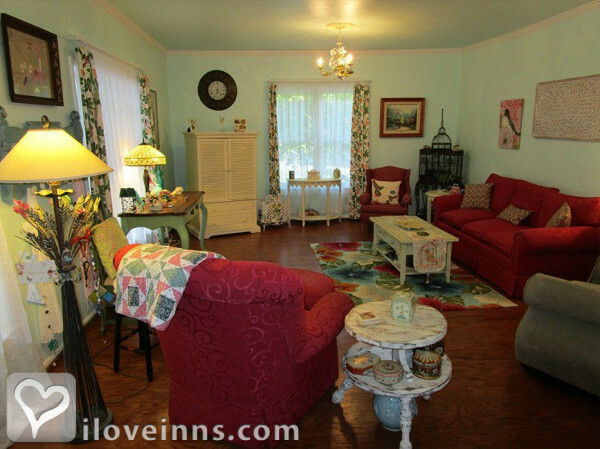 Browse through the iLoveInns.com database of Branson, Missouri bed and breakfasts and country inns to find detailed listings that include room rates, special deals and area activities. You can click on the 'check rates and availability' button to contact the innkeeper. Branson City is in Taney County in the state of Missouri and it got its name from the former postmaster and an owner of a store in this city and his name was Reuben Branson. Today, Branson is one of the most visited towns in the country because of the many attractions that it offers, aside form the comfortable Branson bed and breakfast that you can find almost anywhere. Some of the local attractions include very exciting adventures like the Ripley's Odditorium which is deliberately designed to have a huge crack on the wall to make it appear that it was the victim of an earthquake. Other breathtaking attractions are the Ride the Ducks, The Haunted House and Monster's Asylum, the Hollywood Wax Museum, the Predator World, the Butterfly Palace, the Waltzing Waters, and Branson Landing. With all these exciting adventures, a weekend seems not enough for the family. The Branson, Missouri Tri-Lake area is famous for its family entertainment, outdoor recreation, and live music. By Anchor Inn on the Lake Bed & Breakfast. Branson bed and breakfast innkeepers are proud that they are in one of the nation's top 20 family vacation destinations according to an article carried by the Associated Press. Branson offers more than 100 different live entertainment choices. In addition, Branson bed and breakfast guests often explore the area's three lakes, a dozen golf courses, hundreds of shopping possibilities, museums, and the world's number one theme park (as voted by the International Association of Amusement Parks and Attractions). Branson has long been recognized for live entertainment, and Branson shows include music, magic, comedy, dance, and drama. Enjoy Branson's land and water tours, cave tours, a Civil War battlefield, winery tours, and a fire and water show on the lakefront.